Louisiana is terminating the state’s Medicaid contract with Planned Parenthood, Gov. 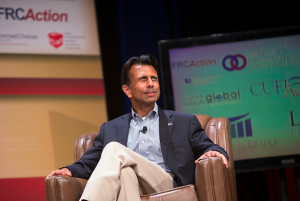 Bobby Jindal announced Monday. Louisiana is among at least nine states across the country that have opened up investigations into Planned Parenthood after an anti-abortion group released several videos seemingly showing Planned Parenthood officials discussing the sale of aborted fetal tissue for research. The Louisiana Department of Health and Hospitals informed Planned Parenthood that is terminating the group’s Medicaid provider agreement.